If you are one of those who are wondering what is CASB – then first familiarize yourself with it. A few years ago, CASB as a product / category didn’t even exist – but today, Gartner considers this as one of the hottest growing areas in Enterprise security. In fact, the ascendance of CASB as a critical security technology was on full display at this year’s Gartner Security & Risk Management Summit. CASB’s presence was more prominent than ever before, with Gartner calling it a must-have enterprise security technology and predicting that by 2020, 85% of enterprises will be using a CASB. There is also a magic quadrant under way – read more here about the upcoming MQ. I made the decision 2 months ago to leave the comforts of Oracle to join a leading startup in the CASB space – Skyhigh Networks. So far, looking at the customer momentum and the kind of customer problems that we are solving, I am super thrilled to be part of this hyper growth startup. Sure there are challenges to be faced – but then nothing that is unsurmountable. The best part is that the leaders of this organization are committed, passionate and always willing to roll up their sleeves to solve the customer problems and get things done. In fact, some of the relentless energy spent has led to us discovering potent and brute force attacks before other vendors can pick it up – for example, read about the sophisticated attack on Office 365 high value accounts that happened and which Skyhigh discovered. If you are interested in knowing more about Skyhigh and what we do, feel free to drop me a note – either through comments or via my Twitter handle – we can then connect to discuss. Also, needless to say, we are hiring – so, if you are interested in joining us, look at the open job positions and apply. Today was my last day at Cisco WebEx – the stay here for me was short (16 months) but it was one of my sweetest and most fruitful in terms of work and achievement. I am joining YouSendit (YSI) as the Director of Product Management for Enterprise starting from next week. Growth was probably the most important reason to make this leap. When the YSI folks approached me regarding this opportunity around a month ago, I was initially not 100% sure about it. But then the more I talked to them – the hiring manager/team, the more due diligence I did about the company, the more interested i became about the role. For one, it gave me a chance to take more product leadership in a hot and happening company. YSI is currently a 180 people company but they are growing like crazy. There was a distinct buzz in that place when I talked to them – everybody was enthusiastic about the company and its growth prospects. I have always wanted to go back to start ups – but wasn’t sure to make the leap. But after talking to the team and knowing more about the role, I was sold on the decision to make the move. Besides, after working in a big company (Yahoo!) and an even bigger company (Cisco), I thought it was time for me to go back to a ‘roll-up-your-sleeves’ kinda role. 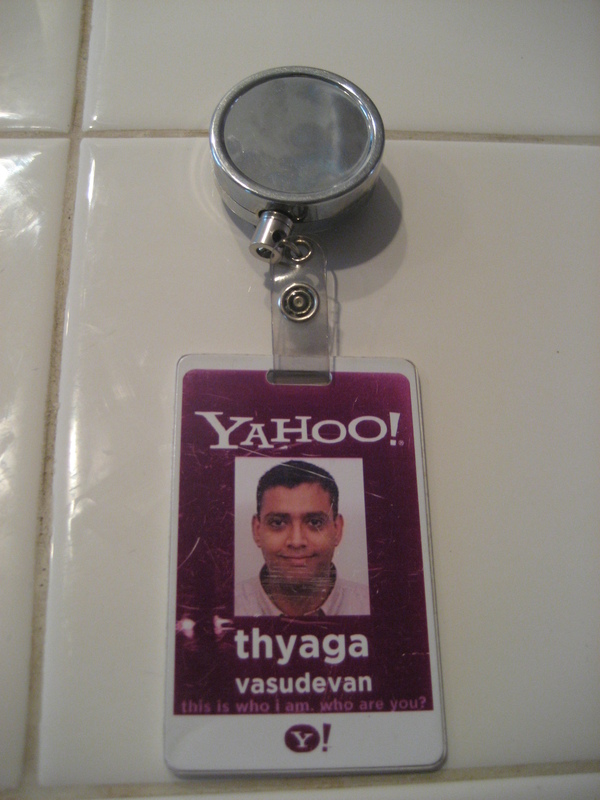 There is no good time ever to leave a company – but one thing that I learned from leaving my job at Yahoo! was that I didn’t want to be a in a situation where I was willing to accept another role that was similar in nature. Since there was no compulsion to leave here (+ they were keeping me well), I only looked at opportunities that represented a bump in my career. Document collaboration is hot – you probably know that by now considering the crazy valuations that the companies are getting. So, yeah – i am probably walking into a tech bubble – but i don’t mind that. In the worst case, the bubble may burst, but I think the experience that I will gain from this gig will be invaluable (at least, that is what I think :)). The bad part – it took me close to 4 months (Feb – May) and countless interviews to finally land this job. True, I was being picky on the type and nature of the job – but there is no overlooking the fact that this is a tough economy and good jobs are just hard to come by. Anyway, this post is not about the economy. Rather, this is about sharing some of my tips that I learned over the past few months and which I thought were quite relevant for finding a new job. Most of these were very handy tools for me while job searching and the more tools you have, the better positioned you are in this economy. (1). Update your LinkedIn profile – this is just no-brainer in today’s economy. It does not matter whether you are in technology or in manufacturing or in liberal arts, make sure you have a LinkedIn profile with your most recent experience updated. If possible, try to get a couple of recommendations from people who matter most. It is no secret that potential employers today do take a look at the candidate’s LinkedIn profile. Consider that to be your online resume. (2). Keep your resume up-to date and crisp (if possible have a .doc and .txt format – even now, there is no consistency from employers!). In my interview experience, I rarely found employers talk about my experience past the 1st page. So, keep it short (2 pages) and keep it crisp. Highlight the skills that you think would be super essential for the job that you are applying. If you really want to, make multiple copies of the resume – one for every industry that you are applying for. For example, I had 1 resume for Mobile, 1 for Internet Advertising, 1 for Social, 1 for VoIP etc. (3). Ditto for Cover Letters. (5). Meet / talk to people outside your company – in other words, Network. I was always lax in doing this before – but my experiences this time have shown how valuable a tool this is. It is through many of my friends that I managed to get my foot into the door of many companies that would typically not even want to talk to me on just seeing my resume. Also – some of my ex-colleagues gave me valuable tips and insights into what was going on in the industry. In short – this helps!- also, the important thing is to maintain this trend even after you have found the job.This also helps you from becoming a frog-in-the-well and helps you to understand what is happening around you. (6). Read about the companies / industries that matter to you most on a daily basis – this is super easy today with the growth of RSS readers. My morning coffee is incomplete without getting a dose of techmeme or techcrunch 🙂 – it really shows in the interviews that you care not only about this company but also about the industry and are genuinely interested in the work that is going on. Talking about Techmeme, there is a good article in NYT about its usefulness – i cannot agree more. (7). Most employers will give you the names of the interviewers before hand – so, it helps if you do a quick background info check about them (using LinkedIn of course). This helps you to get an idea of the type of questions that the interviewer is likely to ask – if it does not work out in that way, you can always steer the discussion to a topic that you think will reverberate with the interviewer … anything to earn brownie points! (8). Don’t be late for interviews – if possible try to arrive ~ 15 minutes early. It gives you time to adjust to the surroundings and also take a rest room break before you start off. The more your mind is at calm, the better your chances of doing well. (9). At the end of the interview, make sure you know what the next steps are – typically the hiring manager will say that (s)he will follow up within a week’s time. If that does not happen, it is perfectly normal to follow up and ask about the status. This also shows to the employer that you are really interested in the job. Also, don’t forget to get the email address of each interviewer so that you could send a thank you email to each of them. (10). Salary negotiations – well, that is a topic for a different post 🙂 – but if you have reached this far, then you have done well in your interviews so far. 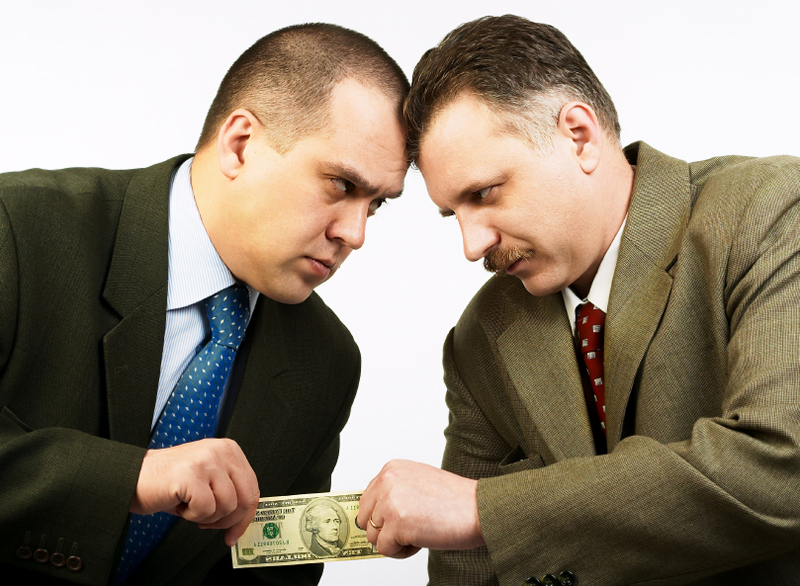 My only tip for Salary negotiations is neither appear too greedy nor too satisfied with is offered in the initially. Remember that it is an initial offer and employers expect that you would negotiate. I am sure you all might have some other tips as well – feel free to add it to the comments section. Hope these are useful to all of you in some way or the other. Bye – bye Yahoo! – thanks for the great times and lovely memories.